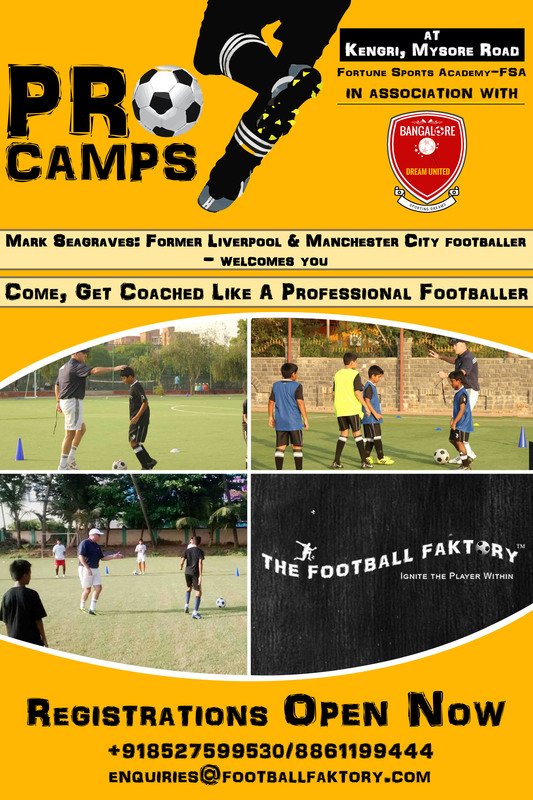 Procamps organised by Dream United Football Academy in association with The Football FaktoryTM co founded by Mark Seagraves , a former professional footballer. It is a Soccer School designed to develop the personal and technical skills of the youth, with high quality coaching. Based in New Delhi, The Football FaktoryTM has plans to reach out across India. Mark Seagraves is a former professional footballer and Coach from England. He began his love for football at a very early age and continued his love affair with football throughout his career. He played and represented is schools and progressed through the years to represent his country England in the Under 15, Under 17 and Under 19 tournaments. He developed as a professional footballer and went on to play Liverpool and Manchester City, among other large Clubs. Mark is also a fully qualified UEFA licensed Coach and has coached Clubs such as Derby County, Wigan Athletic and Blackpool, in The English Premier League. With his 30+ years of experience in the Football, the team wants to develop the sport in the country. During the past 24 months, Mark has been responsible for the development of students at grassroots level in various centers across New Delhi working as the Football Technical Director in an Indian organisation. He has honed the skills of youngsters Indian kids, mainly in New Delhi and Goa. As a Coach Management mentor, he is responsible for inculcating and developing the game in youngsters, right from junior level.